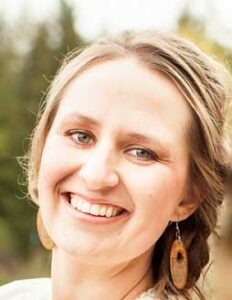 Stacie Edwards is the owner and sole provider at Essential Bodywork, based in Thurston County, WA. At 16 years old Stacie was in a car accident with her family and became very familiar with medical care and insurance systems. After graduating from The University of Washington with a B.A. in Sociology, she began working administratively in chiropractic, neurology, and occupational therapy. Experiencing Tensegrity MedicineTM as a client at Seattle Center For Structural Medicine inspired Stacie to become a practitioner. In 2010 ,with soft tissue injuries, after two more back-to-back accidents Stacie experienced amazing benefits. She then had the fortunate opportunity to work as part of the administrative staff at SCFSM. Her time at SCFSM allowed further observation of clients and their individual experiences receiving this work. Stacie went on to become a Certified Bowenwork® Practitioner, a Licensed Massage Therapist, and continues to study Tensegrity MedicineTM.